Can You Build Muscle by Working Out Once a Week? Building muscle or hypertrophy is a physiological response to prolonged overloading of muscles. Resistance training is the most common way to build muscle mass and strength. Frequency of resistance workouts is usually determined by workout intensity and recovery time. Resistance training two to three times a week is highly recommended; training once a week is unlikely to build muscle. Muscle hypertrophy is one of the body's response's to help increase muscle strength. It occurs when muscles are progressively overloaded, according to Richard Joshua Hernandez and Len Kravitz, Ph.D. Progressive overloading is a repetitive process in which muscles are stimulated with resistance, recover, and are then stimulated with an increased amount of resistance. Resistance training once a week may not adequately build muscle, because it does not provide enough repetitive stimulation and has too long a recovery time. Experiencing strength gains with once-a-week workouts may be mistaken as a sign of increased muscle mass, when it is more likely a sign of improved coordination. Even with once-a-week workouts, the body still learns and adapts to resistance exercises. Therefore, the ability to lift more weight or resistance is primarily due to improved coordination and efficiency of performing those exercises or movements. According to MayoClinic.com, muscles need at least a 24-hour recovery time between resistance workouts. Recovery may take up to 48 hours with a high-intensity workout or an inexperienced lifter. During this time, muscles heal and build-up larger and stronger to meet the demands of resistance training. Once-a-week resistance workouts leave a six-day recovery time between workouts, which is excessive and may inhibit building muscle. Jacob Wilson and Gabriel Wilson report on AbcBodybuilding.com that resistance training at least two to three times a week is necessary to increase muscle mass. Their study showed that untrained or less-experienced individuals may require three workouts a week because their workout intensity tended to be lower compared to experienced lifters; experienced or trained lifters may still build muscle with high-intensity resistance workouts only twice a week. Therefore, once-a-week resistance workouts appear to be inadequate for building muscle. Although once-a-week resistance training may not increase muscle mass, it may still serve a purpose within a fitness or resistance program. Vladimir M. Zatsiorsky and William J. Kraemer in the book "Science and Practice of Strength Training" write that resistance training once a week was just as efficient as twice a week for maintaining muscle strength. 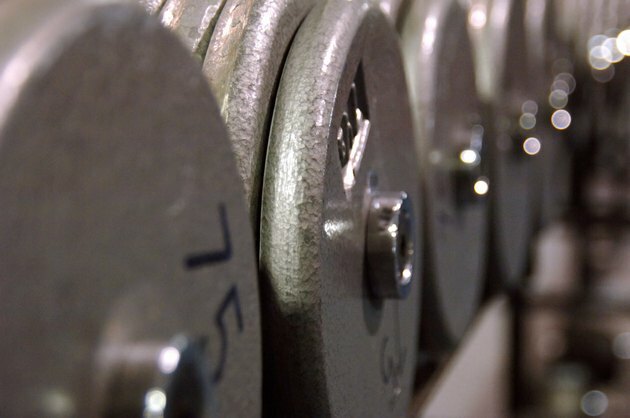 How Long Can You Go Without Lifting Weights & Not Lose Muscle? How Often Should You Do Pullups?